I’ve been a Jeep fan since I bought my first Jeep Cherokee Sport in 1996. I loved its sporty ruggedness and durability. However, I must admit that I grew a bit envious when my in-laws purchased a Jeep Grand Cherokee a few years later. While I cherished my Cherokee Sport, I longed for the refinement and luxury of the Grand Cherokee. That was the vehicle I wanted to drive when I grew up. It’s been over 20 years since the Grand Cherokee was first introduced and Jeep’s flagship vehicle has grown up a lot. While it continues to boast the legendary Jeep performance and capability, the 2015 Grand Cherokee Summit 4×4 has an added level of luxury and refinement. I spent a week with the 2015 Jeep Grand Cherokee Summit 4X4 and I was impressed by its many features and design elements. Let’s start with what you get in this top-of-the-line model. The 2015 Grand Cherokee Summit 4×4 comes with illuminated door sills, an acoustic windshield and active noise-canceling technology (these features were added to combat noise problems in pervious generations), front parking sensors, back-up cameras, Uconnect touchscreen display with AM/FM/SiriusXM Radio, Bluetooth, navigation, a 19-speaker Harman Kardon sound system, an adaptive air suspension, and built-in WiFi hotspot (perhaps, one of my favorite features). The eye-catching exterior features the instantly identifiable Jeep front grille, polished 20-inch wheels, and aggressive, yet elegant styling cues. I drove the Grand Cherokee to an event I was hosting in Houston and it turned a few heads as I pulled up to valet park even though the parking lot was filled with BMWs, Mercedes-Benzes, Audis, and other luxury vehicles. The interior of the 2015 Grand Cherokee is just as impressive. With its high-quality leather trimmed ventilated front seats, open pore wood accents, sleek chrome finishes, suede lined headliner, and Blu-ray-capable rear entertainment system, the Jeep Grand Cherokee boasts excellent fit and finish. Although there is no third-row seat option, the back seat can comfortably fit 2-3 passengers. In addition to the vehicles looks and creature comforts, I liked how the Grand Cherokee felt on the road. The 5.7-liter V8 (360 hp and 390 lb-ft torque) engine with eight-speed automatic transmission offered plenty of power. I was able to dart in and out of Houston’s heavy traffic with no problem. 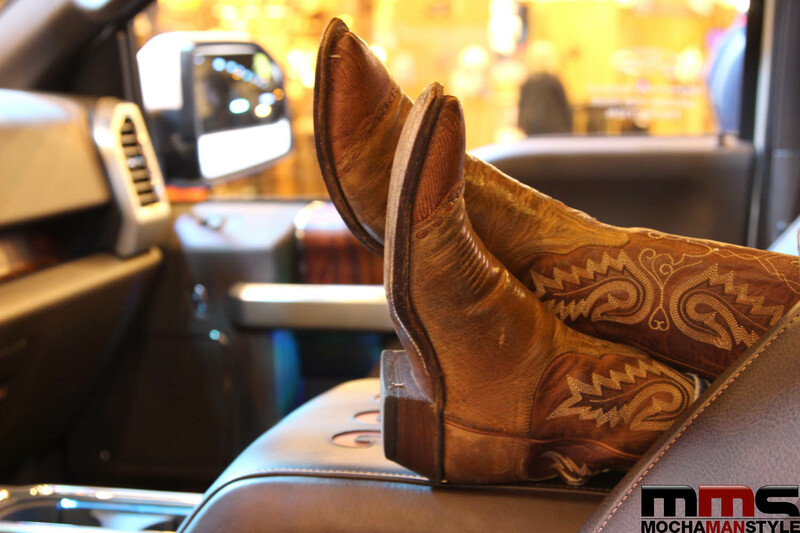 The vehicle handled well on the highways and offered a smooth, quiet ride. According to Jeep, the 2015 Summit Cherokee 4×4 gets an estimated fuel efficiency of 16 mpg combined (14 city/20 highway). After a week with the vehicle, I can verify these numbers. In fact, I was able to push the gas mileage to a combined number of 18 mpg. My only disappointment was that I didn’t take the vehicle off-road to test its capabilities. But based on my experience with other Jeep vehicles, I am confident that the2015 Jeep Grand Cherokee Summit 4×4 can handle just about any off-road situation thanks to the advanced four-wheel-drive systems and vehicle’s generous ground clearance (up 11.3 inches0. 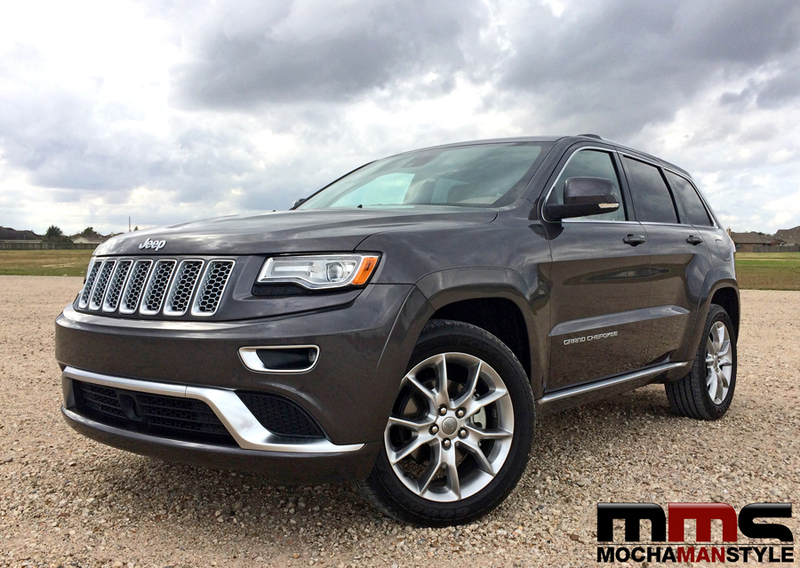 Overall, I was pleased with the 2015 Jeep Grand Cherokee Summit 4×4. It is the epitome of durability and elegance and the benchmark for what a luxury SUV should be.